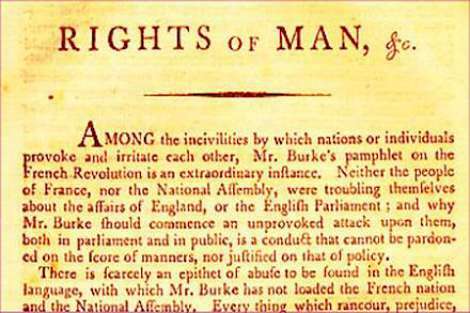 In his revolutionary pamphlet, 'Rights of Man', Thomas Paine responded to Edmund Burke's criticism of the Parisian masses. They had razed the Bastille, killed a number of men they suspected of betraying them, put their heads on spikes and paraded them through the city. Falling short of condemning their actions, Paine argued that they 'learn[t] it from the governments they live[d] under, and retaliate[d] the punishments they [had] been accustomed to behold'. This wasn't merely an effort to reaffirm his support for the people over the despotic king; Paine truly believed the behavior of the masses mirrored that of those who ruled over them. As a member of the National Convention, he voted against the execution of Louis XVI on these grounds. It was a position that put him at odds with the Jacobins and for which he was almost killed. Last month, revelations made in a Senate inquiry by Transfield Services, the company contracted to run the Nauru detention centre, illustrated how the Australian government's callousness and immorality on the issue of asylum seekers is beginning to infect the national consciousness. These victims are subject to Nauruan law — when Canberra bribed the small Pacific island nation to help solve its asylum seeker 'crisis', it abdicated legal responsibility for the refugees. But you won't hear anyone in Canberra calling it a coup because, under international law, aid would have to cease being paid to the regime. And it's under this guise that Australia pays what amounts to a bribe so that Nauru continues to manage the prison that houses the asylum seekers that were intercepted on their way to our shores. In 2013–14 Australia's aid contribution made up approximately 20 per cent of Nauru's GDP. This year, the contribution will be increased to an estimated $25.9 million. Speaking on ABC Radio National, editor of The Monthly Nick Feik characterised the current situation as being 'like the Australian government is financially supporting a dictatorship to operate a gulag'. 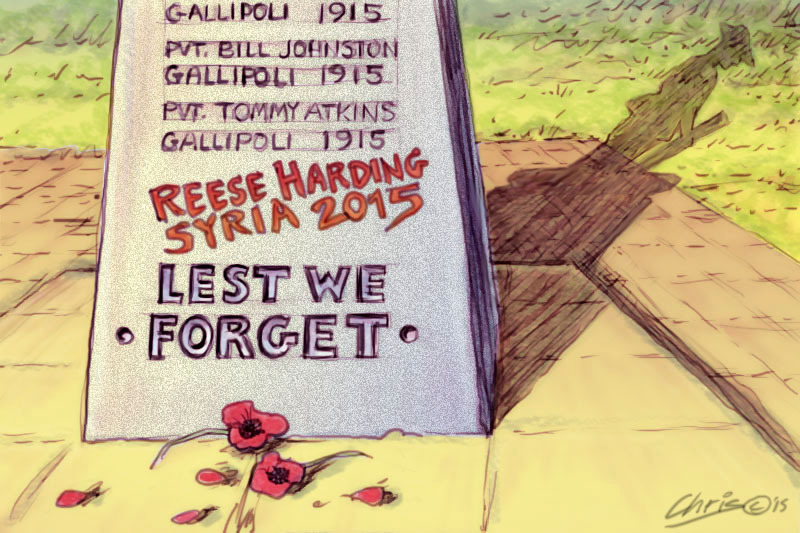 It's not that empathy is an emotion particularly lacking in Australia. The country has shown an ability to empathise en masse when a cricketer or football coach dies. But there remains a disconnect between 'us' and asylum seekers. Could the widespread ambivalence to their suffering be a reflection of various governments' efforts to demonise asylum seekers? Has Canberra's willingness to exploit refugees for political gains, undermine their human rights and treat them like criminals been mirrored in the attitudes of the general public? What does it mean for our society that we're no longer shocked and outraged by reports that our government is funding a system in which children are regularly sexually assaulted? This is the kind of moral rot Paine warned against. The bulk of the racist mainstream media do not bother to report the crimes we commit against refugees but if a refugee breaks the fingernail of one of us we find out in huge front page rants in the Hun and the Terror. Perhaps our origins as a military penal colony on a forcibly acquired landmass has something to do with our acceptance of Nauru. We have forcibly established a mirror of our national origins there. This nation state of ours has always been a harsh entity. Witness the treatment of the indigenous people. Some of us are shocked !!! We still have not the lesson about when we 'marginalise' people and put them far away from mainstream life, abuse happens..............and of course they are not 'white' folk. Tim, I think part of the problem is our sense that there's no hope that this government will listen to any protest we make. They don't answer letters, they stubbornly hold to a policy of cruelty, convinced that their silence will make people feel that it's no use their writing to protest. The tactics they rely on are lying about what is happening, punishing people who speak out and imposing and maintaining as much silence about it all as they can. It's as close to totalitarianism as they dare to get. I think part of the answer to Tim's question lies in the naïveté of the decent folk in our society who are rightly appalled at the cruelty of our gulags, and the government's superior tactical ability to confuse and confound the issues involved thereby negating the political impact of the moral outrage many of us rightly feel over the gulags. Let me explain. Over recent weeks I argued strenuously that Labor for Refugees should focus its actuvism on a simple demand to Labor Conference to commit absolutely to close the camps. I argued that boat turnbacks were a lesser-order problem that could be set aside for now, thereby leaving the coalition morally isolated and , I believe, condemned as the gulags party. I was roundly denounced by most refugee activists for daring to accept turnbacks which , it seemed, were an evil of equal horror to Murders and sexual abuses and mentally destroyed children in our gulags. Because 70% of Australians support turnbacks as an essential part of border protection, the cruelty of the gulags was never seriously challenged by the outcomes of the Labor conference. The Coalirion's convention that keeping the offshore camps was a necessary part of deterrence of boat journeys was never put to the test, because for the human rights movement, it was more important to aim for the best than to achieve the good. So Shorten and Marles and Burke had an easy passage through the conference. They shed some tears, made some useful policy commitments - but all within a policy framework of keeping the offshore camps system going. The refugee movement vented its anger and disgust, but achieved far less than it might have in achieving a party commitment to end the cruel gulag system. To put it bluntly, they would rather be pure than win. It would have been possible for Labor to mount the argument I tried to mount - that with an efficient safe boats turnback system as we now have in Operation Sovereign Borders, the camps are a superfluous deterrent. Not just cruel, but unnecessary. No one - no one - wanted to run with that argument. So we are back where we started. This is a deep and profound question Tim is asking, and his measured style in posing it is done well. I speak to many people on this topic and the range of issues surrounding refugee policy. There is often confusion on issues. People sometimes feel that acknowledging the abuses means acknowledging open borders; they don't see the different strands of the issues (that you may support fair treatment and still feel governments need to find alternatives to the trafficking.) There is also a feeling that they have been lectured to and patronised by advocates; that the way advocates present the issue, the focus on shame etc offends their values. The advertising campaign "Real Australians welcome refugees" fails all the rules of good advertising - no target audience and no call to action. No doubt a media that largely repeated negative messages and buried the lead of the abuse. People will often say, "I know there is abuse but there are many bad things in the world and I can't stop them". A powerless feeling. The abuses in detention sit alongside: claims about racism driving policy; "cruel" policies such as the suicide of Leo Semanpillai (who came in under the old system) UN refugee treaty and Australia's responsibility etc etc. in other words, diluted and contrary messages. No cut through of the "abuse" message in a very complex environment for communicating. That's just what people tell me. With over 60% of Australians surveyed stating that the government should treat asylum seekers who come by boat even more harshly, Tim shouldn't be surprised that "we" appear to accept abuse of asylum seeker detainees. On moving toward a humane asylum seeker response, John's comment about the confusion many people have about asylum seeker policies and practice underlines the great difficulty in replacing disinformation with some level of reality for a majority of Australians. And Tony Kevin, while I have some sympathy for those whose opposition to turning back the boats stymied your recommendation to shift focus to closing our gulags, I am reminded of how the Greens' holding out for a better emissions target effectively killed any chance of success for the original Rudd proposal for an emissions trading scheme. I think many of us are slow to learn the art of compromise as a critical skill for achieving beneficial outcomes though political engagement. I like John's contribution. It adds nuance that's lacking in the original piece. Consider Tim's semantics: 'demonise' asylum seekers; 'exploit' refugees; 'undermine' their human rights; treat them like 'criminals'. Let me assure you, as someone who supports the government's stop the boats policy, I harbour none of those sentiments. The lack of ostensible national sympathy with the lot of the Nauru detainees, which I can also see, does not equate to some kind of cultural or character problem in the national psyche. If action is the call here, Tim's approach will merely box at shadows. I will join Tim and other concerned citizens if the targets are specific individuals and bureaucracies, in both Nauru and Australia. That way we might sidestep the moral counter-attacks and subsequent polarisation that inevitably comes from blaming the mob. There is no doubt that common beliefs and culture are both factors in making a community. The Irish who settled in South America mixed more easily with their co-religionists than with the English communities they found there, despite their common language. Alternatively with the decline in influence of Catholicism in USA, there is concern that many 'Latino' migrants there are drifting into association with Mainstream Protestantism and the Republican Party. Many of our asylum seekers are from Muslim countries, and have different beliefs languages and cultures, and so do not easily fit into established communities. It is easy to see why typical Australian women in would not want our culture to move in the direction of the countries most boat people come from, and would consider them as 'other'. Tony Kevin is still arguing the OSB has been a success based on the claim that no more people have drowned, but they have been slaughtered in the tens and hundreds of thousands, sold as slaves, killed in the Malay/Thai border death camps and left adrift at sea. I am over this, the refugee convention and human rights laws we ratified do not and will not ever sanction this vicious nonsense. Australians are remarkably ignorant of their own low-level racism (as Walid Aly recently put it). It escapes people who start sentences with "I'm not racist, but..." that what comes out next is almost invariably racist. What makes this worse is that the very noticeable degeneration of public behaviour is being condoned and deliberately fuelled by the Liberal Party and its media cheer squad. Pauline Hanson showed that there were votes in intolerance, and many Liberals have lovingly embraced this. Nazi propaganda also deliberately created groups of scapegoats to divert the unthinking and easily-led. (Remember that latter label from school? Not complimentary, was it?) The Nazi depiction of the chosen scapegoats as Untermenschen (sub-humans) encouraged the populace to join in, especially as there was already considerable prejudice against these groups. (It also conveniently diverted people from real issues that the government was mishandling.) And while no-one is suggesting our Final Solution to the Refugee Problem will 'ape' Nazi Germany, the propaganda techniques - and it is propaganda - are EXACTLY the same. Our most obvious Untermenschen are 'illegal arrivals', but clearly many people also think uppity indigenous footballers also fit the bill. And should "be deported". And those are only two of our currently popular targets. Ahh, Australia can be proud. Goebbels can too. As we have a reasonably safe boats turnback system in Operation Sovereign Borders, the offshore camps are a superfluous deterrent - expensive, immoral and totally unnecessary. We can and should deal with all interned refugees here in Australia and release children with their families into the community. I am thoroughly ashamed by the methods the Govt hides behind, the secrecy and name calling - refusing to allow the public to see refugees as PEOPLE! I am totally disheartened by the Labour opposition who could and should have made a stronger stand on this issue.